By Anna Kirk, Research Associate in the Lowy Institute's Melanesia Program, and Euan Moyle, an intern in the Melanesia Program. Tonga’s King Tupou VI took the unprecedented step of dissolving parliament that was led by PM Samuela ‘Akilisi Pohiva last week, announcing new elections must be held by 16 November. Pohiva was the first commoner to serve as Prime Minister and there had been high hopes for the government of the former democracy activist. 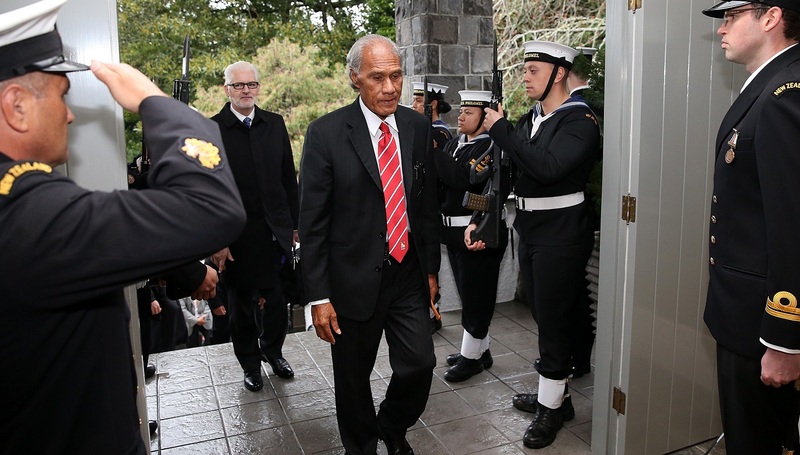 However, while some have raised concerns about what the dissolution means for democracy in Tonga, Pohiva’s government has also been heavily criticised and many have welcomed the move. At the time of writing, Pohiva was expected to hold a press conference on Wednesday to respond. The 48th Pacific Islands Forum Leaders Meeting will take place in Samoa next week. Deputy Secretary-General of the Forum Secretariat Cristelle Pratt told Pacific Beat that the gathering's Blue Pacific theme is applicable across shared geography, resources and security concerns and will strengthen collective identity and political action in the region. This report from the Forum Secretariat identifies key issues including; rising inequality, an increasingly crowded and complex region, and the depletion of natural resources. Following the resignation of New Caledonia’s budget minister Philippe Dunoyer, who has taken up a seat in the French National Assembly, New Caledonia’s political parties have put forward candidates for the election of a new 11-member government on Thursday. Majella Hurney from Save the Children writes on the Devpolicy blog on the growing malnutrition crisis in Papua New Guinea and why aid donors including Australia should tackle the problem more directly. Last Friday marked the 75th anniversary of the beginning of the Battle of Milne Bay in 1942, which halted the advance of Japanese forces through Papua New Guinea into Australia. ABC’s Thomas Oriti spoke with Dr Lachlan Grant from the Australian War Memorial about the battle and its legacy. PNG’s new Attorney-General Davis Steven has criticised the Australian Government’s plans to close the Manus Island detention centre by the end of October, saying it is not clear what will happen to the men detained at the centre, or how PNG will manage Australia’s withdrawal. Even though PNG’s parliament has resumed following the national elections, Mendi town is still tense with disputed ballot boxes for the Southern Highlands regional seat still being counted.